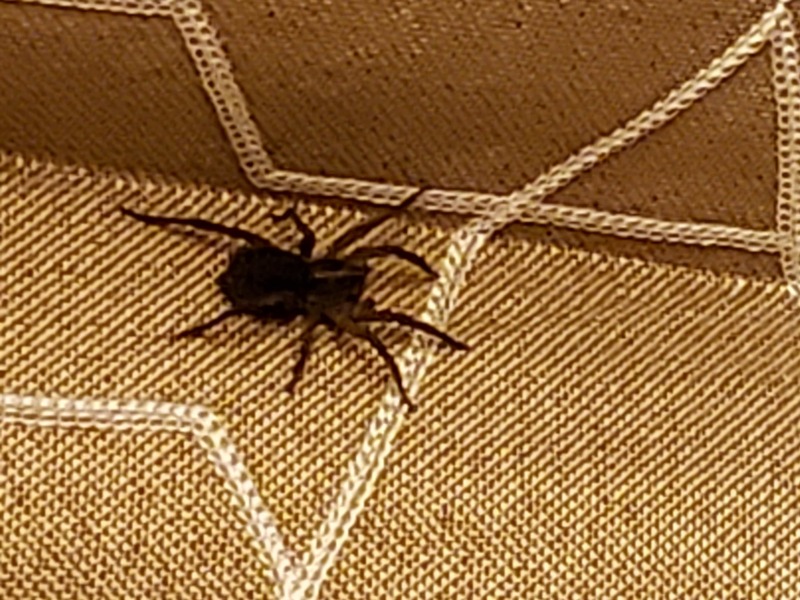 Help me identify this large black beast that was exploring my home. I attempted to kill or capture him, but he escaped and is therefore still in my home. Could there be more? Many more? 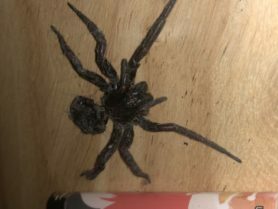 It had about 2 inch body, including his legs, almost 4 inches. I think he went into the basement because he escaped under the floor moulding because we are renovating and there are spaces where there usually isn’t. 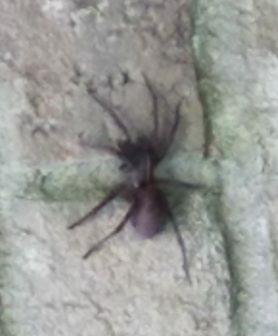 Hi, this is a Wolf Spider (see above image for ID, they are not considered to be of medical significance). 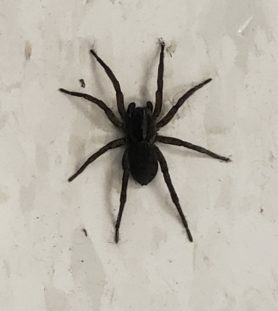 This isn’t an indoor species, if you start seeing more of them they are likely wandering in somewhere by accident or there is something else in the home they are preying on. 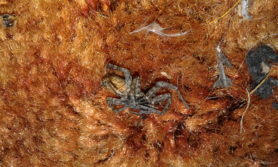 You can reduce the number of spiders you find in your home by sealing cracks around floors, doors, windows, foundation, etc., vacuum everywhere and empty the canister outside.